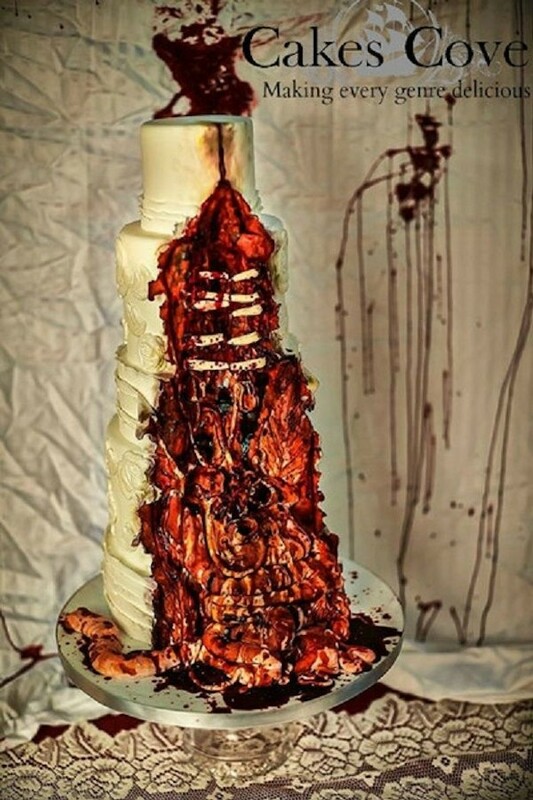 Hopefully this zombie wedding cake tastes better than it looks, because it looks pretty disgusting. Normally wedding cakes are created to be beautiful and tasteful. This does not look beautiful, tasteful or tasty. It looks like some bakery got infected with a zombie virus and the cakes were not immune. 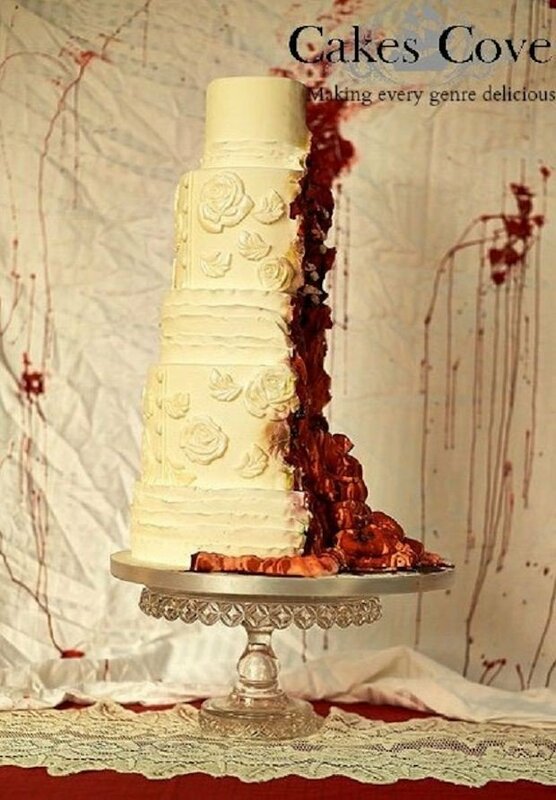 This is the perfect cake if you want people to fear your marriage. It was created by Cake Cove bakery for their Zombie Horde event in Toronto, Canada. This is a cake you would never forget taking a bite out of. 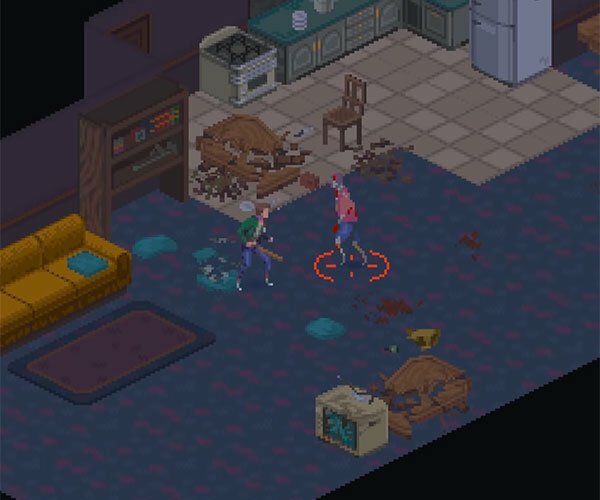 The only way it could get better would be if a zombie actually burst out from within and started attacking guests. That would be a wedding no one would ever forget. It would probably leave you a traumatized wreck of your former self. A cake wreck if you will.